For Crystal Palace, the misery continues. This was the 20th time they have played Manchester United in the Premier League. And still they await their first victory. After this defeat, their record now stands at an ignominious four draws and 16 defeats. Ole Gunnar Solskjaer's record, meanwhile, is rather more positive. This was his eighth successive away victory as Manchester United manager. With nine players injured, including his entire first-choice front line, Solskjaer brought out his inner Jose Mourinho, picking two right-backs to double up on Wilfried Zaha. With Ashley Young on the right of defence, Diogo Dalot was ostensibly playing on the flank of a midfield diamond. Scott McTominay, meanwhile, was positioned at the diamond's base, Paul Pogba at the front and Fred on the left flank. Yes, the forgotten Fred was back, passing straight into touch in the attempt to find Luke Shaw. His next pass went 20 yards too long, while his first shot was no more than 15 yards wide. Clearly this was a man anxious to seize the opportunity. Ahead of the diamond were Alexis Sanchez, forever running into culs-de-sac, and Romelu Lukaku. The Belgian had the game's first chance, when he ran into space as Shaw's corner was swung in. Completely unmarked, six yards from the centre of the goal, he fired over. Then Shaw, United's most potent performer, took off on a twinkle-toed run from the left wing, bouncing past defenders as he went. He cut inside and found Lukaku on the edge of the Palace area. The forward took a pace, then bent a fine right-footed shot past Vicente Guatita into the bottom corner. It was a goal completely out of keeping with the mediocrity preceding it. As the second half began, United started to show ominous ascendancy. 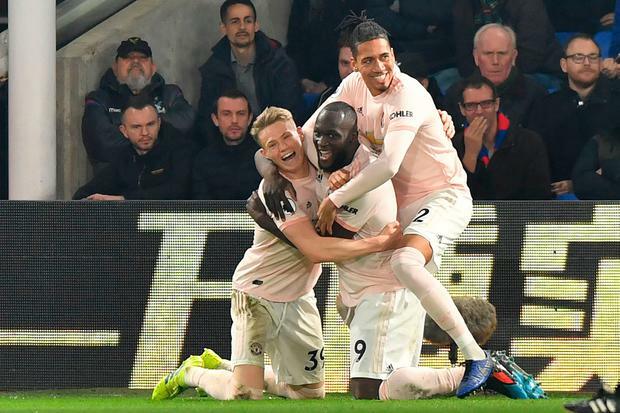 From a Young corner, Chris Smalling and Victor Lindelof played a bit of head tennis before the ball fell to Lukaku, who athletically scooped it into the net. Joel Ward's first goal in more than three years, a diving header, gave Palace some late hope but it was soon extinguished. Pogba pushed a magnificently weighted ball out to his right. Running in came Young. 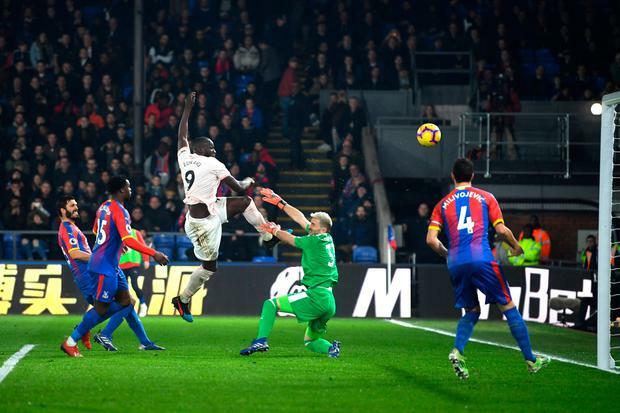 To the final dismay of the Palace support, he joyfully threaded the ball into the net to confirm yet another defeat against United.